You can never go wrong with a gluten free cake. That's a good thing because birthdays and special occasions practically require cakes. With this collection of 25 Awesome Gluten Free Cake Recipes, you can create a wonderful gluten free dessert any day of the week. Whip up a decadent chocolate cake when you're craving something chocolatey, or cool things down with a creamy cheesecake. No matter what the reason, you'll find a recipe that suits your needs. With these cake recipes at your fingertips, you'll find it hard to say no to baking something scrumptious. Your family won't have to beg for long to get you to create something amazing. These cheesecakes are perfect gluten free desserts that will make you melt from the inside out. Cool and creamy, these cake recipes are dreamy treats. Make any of these awesome dessert recipes to really impress your friends and family. 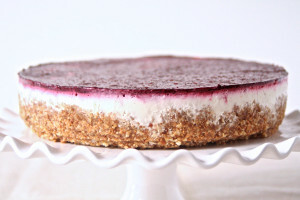 Everyone will go nuts for these delicious gluten free cheesecakes. Peanut Butter and Chocolate Mini Cheesecakes NEW! 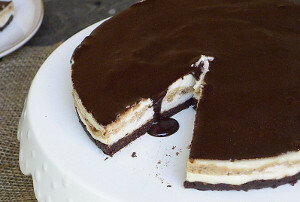 Kahlua Cheesecake with Chocolate Almond Crust and Chocolate Ganache NEW! Chocolate Chip Cookie Dough Mini Cheesecakes NEW! If you love these Gluten Free Cake Recipes, then you'll go absolutely crazy over these 9 Gluten Free Cake Recipes! Chocolate, chocolate, chocolate. Can you ever get enough gluten free chocolate cake? Not with all these amazing cake recipes. Indulge in your chocolate cravings with these recipes. Your sweet tooth will thank you and so will your friends and family. You'll be making up reasons to bake these gluten free chocolate cakes. One Bowl Gluten Free Chocolate Cake Recipe NEW! Mini Chocolate Layer Cake NEW! Chocolate Cookies and Cream Cake NEW! Now you can find all of your favorite gluten free dessert recipes in one place. Check out The Ultimate Guide to Gluten Free Desserts: 393 Easy Dessert Recipes. Add some fruit and pump up the taste of your gluten free cake recipes. Literally bursting with flavor, adding fruit is an easy, delicious way to add another layer of fun to your desserts. All of these wonderful recipes have fruit included in their ingredients, so these recipes will help you tap into an even sweeter side of baking. Peggy's Pineapple Upside Down Cake NEW! Chocolate Raspberry Cream Cake NEW! Where do I start? I love cake and I can manage most gluten free recipes save for cakes. Most of the cake recipes I found were vegetable based (beetroot, pumpkin or potato) and somehow they were lacking so thanks for these awesome recipes and I am going to get started baking. I'm starting with the mini margarita cheesecake. I love a nice Red Velvet cake with coconut sprinkles on top. My favorite cake is carrot cake! My favorite cake is German Chocolate. My favorite kind of cake is sponge cake. My favorite kind of cake is Italian Cream Cake! i love white cake with white icing. that is my favorite kind of cake. ALL OF THE CAKE... Okay. That is a lie. My favorite kind is split between Pound Cake and Chocolate Cake. I think that I tend to prefer the former more since it can hardly be ruined. 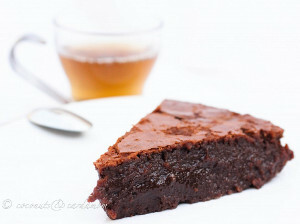 I'm really interested in the "The Best Chocolate Cake" recipe since my friend's birthday is coming up and it's so hard to find GF recipes for the cakes he actually wants. So, thanks for this! I'll try the Mini Margarita Cheesecake first. Thank you for the giveaway! ooooo strawberry dreamcake sounds amazing!! The Chocolate Brown Butter Cake sounds scrumptious! Chocolate caramel Cheese Cake My fav. I love chocolate cake and I tried the gluten free one for my birthday so yummy. Chocolate Cake is my favorite and is really good with crispy bacon crumbled on the top! Yummy, bacon makes everything better. I love chocolate cakes with no icing but my husband prefers cheese cakes. I enjoy coconut cakes. Chocolate is always good, too. I love carrot cake, but the Banana Mug Cake looks great! Favorite kind of cake? ummmmm...fruity, creamy, moist and calorie-free! Or any of that list. I really love poke cake, especially when it's made with raspberry jello! I am very torn trying to answer the question. I love carrot cake, Southern caramel cake and red velvet cake. I looooooooooooooooooove cheese cake over all cakes. Oh man. It's a toss up between Oreo ice cream cake and pound cake with fresh strawberries on top. I once found a recipe in a magazine for a white chocolate raspberry cake with loads of white chocolate frosting. It is still the BEST. My mom makes an amazing lemon bundt cake with a super sweet lemon glaze. It's definitely my favorite! Spice cake with cream cheese frosting! My dad made it for my birthday every year growing up, and I still grab a piece whenever I get the chance. I've never met a cake I didn't like, but the very best I ever made was a banana layer cake with chocolate cream cheese frosting. It was to die for! Nothing beats a delicious ice cream cake! Nutella cake! If you've never had it, you MUST! It's rare for me to choose anything over chocolate cake. But, I slightly prefer vanilla frosting over chocolate on chocolate cake. It's hard to find a cake I don't love. You can't go wrong with chocolate. Chocolate cake is definitely my favorite, especially with my dad's homemade frosting! German chocolate cake deserves its own title in the Hall of Fame Cakes Ed. My annual birthday cake. You know why? 'Cause it's mine. MINE. ALL MINE! I absolutely love German chocolate cake! You just can't beat that icing. My favorite will always be chocolate cake with a cream cheese frosting. Or red velvet. Or lemon cake. Ok, I just like to eat all cake all the time. Cheesecake is my favourite kind of cake. German chocolate cake is my fave.